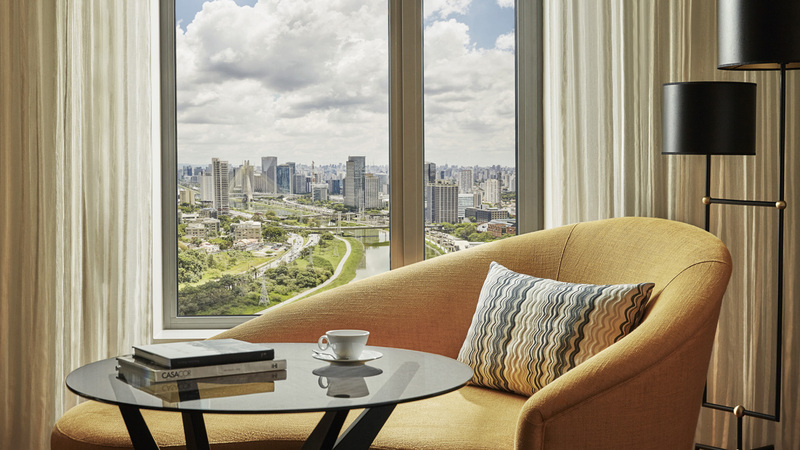 Sao Paulo, Brazil, 2017-Nov-21 — /Travel PR News/ — Rising amid the leafy green spaces along the Pinheiros river in southern Sao Paulo is a new beacon of world class luxury and five star service: the all-new Four Seasons Hotel São Paulo at Nações Unidas. Part of Parque da Cidade, the largest master planned, mixed use complex currently under development in the city, Four Seasons will join Fortune 500 companies in creating a new centre of commerce and culture in “the Capital of South America.” The 29-storey Four Seasons tower will include 16 floors of hotel space encompassing more than 250 guest accommodations, two dining and drinking destinations, a luxurious spa, unique indoor-outdoor pool and flexible function spaces for hosting business meetings, weddings and social events. The building will also be home to 84 Four Seasons Private Residences. Located on the Avenida Nações Unidas (Avenue United Nations), Four Seasons places business travellers just steps from corporate offices, plus shopping, entertainment and South America’s best medical facilities. The domestic Congonhas-São Paulo Airport is just 15 minutes away, and São Paulo International Airport is about one hour by car. An oasis of comfort with every modern convenience, Four Seasons guest accommodations adapt easily to the needs of modern business travellers as well as leisure guests. This entry was posted in Hospitality, Hotels, Luxury, Travel, Travel Services and tagged four seasons, hotel in Brazil, Michael Schmid. Bookmark the permalink.